There weren’t that many people on the F train down to Essex St. this morning. Maybe 15 at most? I was one stop away when a guy walked in and apologized for the interrupting. I checked my bag to see if I could give him a protein bar I usually have. No luck. 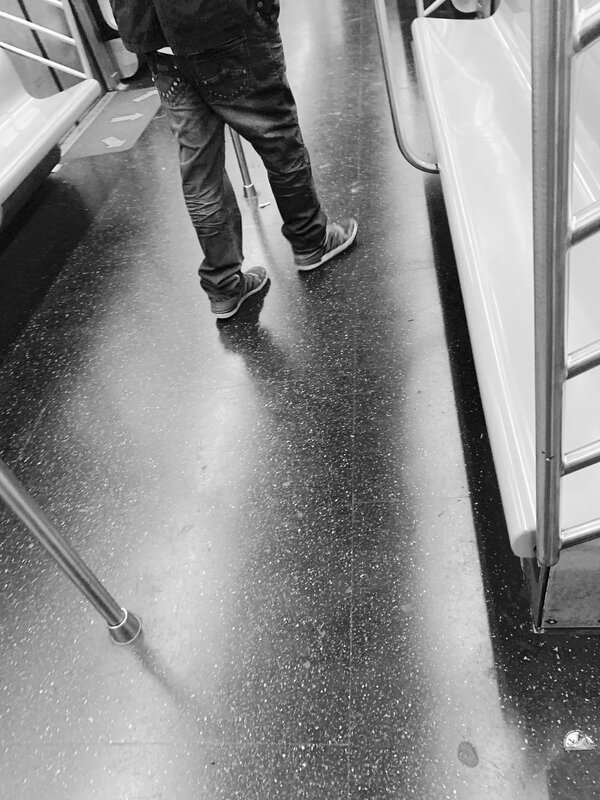 He finished his pitch and walked past me to get to the next train car, but realized the doors were locked. So he stood in the middle of the train waiting till the next stop. His eyes canvassed the few of that were there to see if anyone was reaching into their pocket. We caught eyes a few times. Then from the other end of the train car, another guy walked in mumbling, “Anyone got a quarter? Anyone have a dollar?” His speech was the exact opposite of the one I heard a minute before. Much easier to ignore. He started to walk towards where Matt was standing and then I realized I never saw two people in the same train panhandling before. And with the train as empty as it was, I couldn’t help but watch to see what would happen. Just then, Matt walked over and reached into his pocket and gave the guy some money. Maybe it was a quarter, maybe a little more. I don’t know how long it took Matt to collect that much change, but he gave without hesitation. It didn’t matter to him what the guy’s story was. They walked together to the other end of the train together and it seemed like Matt was telling him the door was locked. I took a dollar from my wallet, and as we neared my stop I walked over to Matt and gave it to him.